To be a “hon” hon, you have to have BIG hair: piled high, teased, sprayed. There’s even a Hon Fest in Baltimore, Maryland to celebrate all kinds of big hair. So, because I love history, I got to thinking about some big-haired women throughout the ages. 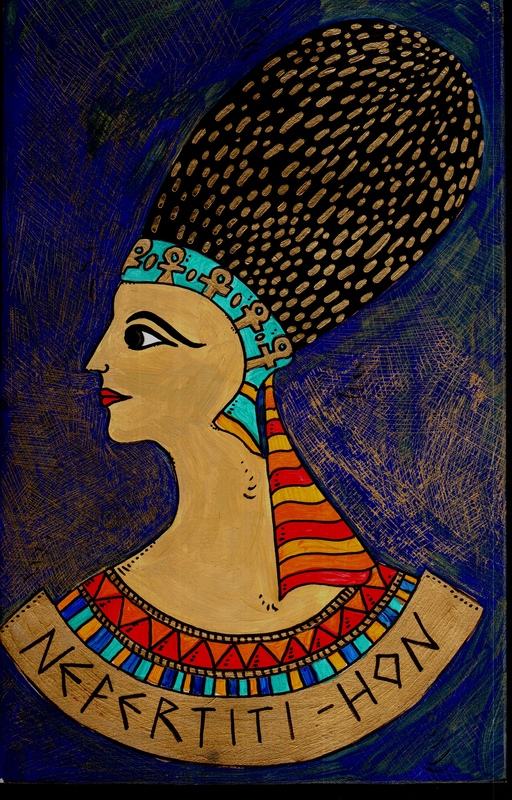 Here is Nefertiti, Queen of the Nile. Thank you! Oh yes, there will be chocolate, lots of chocolate. Btw, do Wilcox & Griswold like chocolate too… or only carrot cake? Annina she is stunning, love the vibrant colours you use.